At first, it was a four-game suspension for Tom Brady, then everybody was predicting the suspension would be cut in half to two games. Now, I don’t think Tom Brady is going to miss any games. ESPN.com is reporting the NFLPA has extended an offer that Brady will pay a fine because he didn’t cooperate with the investigation. He’s not going to admit to having any involvement with the deflating of the footballs. I’m starting to believe that by the time all the training camps are open, Brady will not only not have to miss any games or pay a fine, instead the league will be paying Brady more money. Seriously, Brady seems to have the upper hand. ESPN reports that both sides in the battle believe a settlement is going to be considered a win for them. The NFLPA, meanwhile, believes there can be a settlement written by lawyers that vindicates Brady on the most important allegations, sources told ESPN’s Ed Werder. The league believes, sources said, that any settlement is an admission of guilt by Brady, whether it’s failure to cooperate with the investigation or other similar infractions. 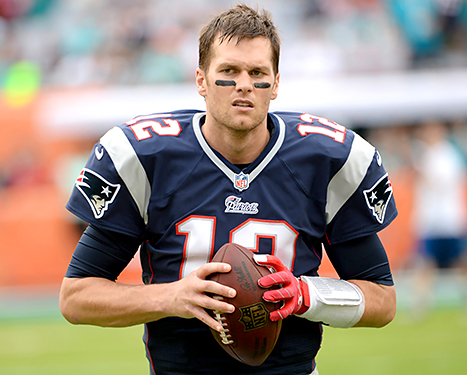 At some point this is all going to go away and Brady will be quarterbacking the Patriots to start the season. ESPN’s Ron Jaworski On Sam Bradford: Will he be able to look down that gun barrel?